10 December 2018 – The United Nations Children’s Fund (UNICEF) has ramped up efforts to provide warm clothes and life-saving supplies to more than 150,000 displaced children across northern Iraq whose lives are threatened by freezing temperatures. UNICEF/Noorani | In this file photograph, children at a refugee camp in Suleimaniyah, northern Iraq, walk to their school, along a muddy path on a cold, rainy winter day. Many families in the region have been left with next to nothing after being on the move for years due to conflict and resulting economic hardship. It is “impossible” for them afford fuel for heating and winter clothes to keep their children warm, the UN agency warned. 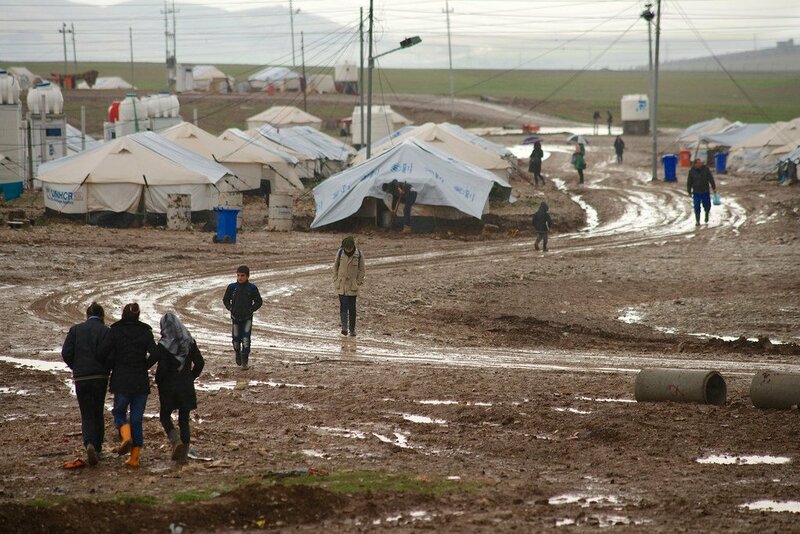 Flash floods last month worsened the situation, said Peter Hawkins, the head of UNICEF operations in Iraq. Upping its response, UNICEF is providing winter clothes, including boots, scarves, and hats to approximately 161,000 children in Sinjar, Erbil, Dohuk, Ninawa, Anbar, Diwaniya, Basra, Salaheddin, Baghdad and Suleimaniah, including through cash support. According to the UN agency, those receiving assistance age between 3-months and 14-years, in hard-to-reach areas, having been through years of violence, including gender-based violence, and trauma of war. Monday also saw the formal presentation of the Nobel Peace Prize to Yazidi activist and UN Goodwill Ambassador, Nadia Murad, who survived being trafficked in northern Iraq and sold into sexual slavery, by terrorist group ISIL. Recognition of her extraordinary efforts, also draws attention to the plight of hundreds of thousands of displaced children, added Mr. Hawkins. 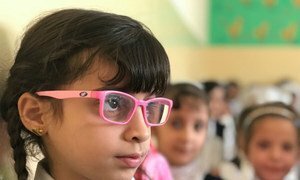 “As the world celebrates Nadia Murad’s incredible story of survival and her work for human rights, let us remember that there are many vulnerable children in Iraq who still need our support, even if the worse of the violence may be over,” he said. In October, the Nobel Committee announced the awarding of its 2018 Peace Prizeto Ms. Murad, and Dr. Denis Mukwege of the Democratic Republic of the Congo for his work helping victims of sexual violence in the central African nation. They received their award on Monday [10 December 2018] in the Norwegian capital, Oslo. (SOURCE: UN News).